Florida St. President John Thrasher is hoping a course in social responsibility will improve the behavior of student-athletes at his university. Thrasher felt the timing was right to institute a plan that will hopefully bring about change after two players were accused of hitting a woman. Freshman quarterback De’Andre Johnson was dismissed from the team after a video was provided that showed him punching a woman in the face last month in a bar. Running back Dalvin Cook has been suspended indefinitely after a 21 year-old woman is alleging he punched her several times in the face outside a bar. This is not only a serious issue at FSU, but across the nation. People are becoming more aware of domestic violence as more issues have been reported involving professional athletes. Now, we are seeing more domestic violence being reported across colleges as well. I would like to see courses in social responsibility not only taught at FSU, but at colleges and high schools across our nation. Maybe taking a course rather than just hearing stories about social responsibility will make more of an impact. Thrasher wants FSU student-athletes to understand consequences of actions and how everything they do will be scrutinized because “we live in a social media world.” He also hopes bringing in bringing in guest speakers to talk about character will have a positive influence on FSU athletes. 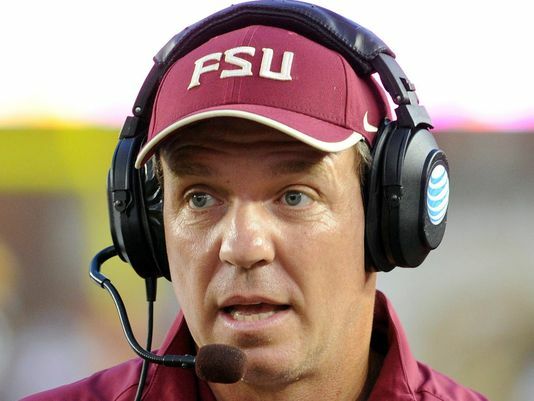 FSU football coach Jimbo Fisher must also hold his players more accountable. Telling them “they just won’t be allowed to go to bars any longer” is not the answer. Not all student-athletes at FSU or other universities make poor decisions when in a bar. You can’t tell a 21 year-old he can’t go to a bar with his friends. However, Fisher can create specific consequences for certain violations that occur with his players. The consequences also must be the same for the stars as they are for players last on the depth chart. Thrasher says Fisher has already supplied him with a list of ideas he already had to improve the behavior of student-athletes. One can only hope Jimbo Fisher’s athletes understand the gravity of the situation as much as Thrasher and their coach. « How is Reggie Wayne Still Not Signed?